There are very few DJ's that can produce a resume as impressive as 7L's. His discography alongside longtime collaborator Esoteric shouldn't be taken lightly. As a pronounced member of the Demigodz and Army Of The Pharaohs, his list of collaborations boasts quality and quantity. We recently had the opportunity to catch up with 7L and quickly learned why this man is one of the hardest workers in Hip Hop today. Between DJing shows across the map, collaborating with Inspectah Deck & Esoteric on a new album and manning the fort at Get On Down, its easy to see that he takes no breaks. We had a chance to talk to him about his early mixtapes, his involvement with Get On Down, the Purple Tape boxset and the making of his new album: "Czarface." 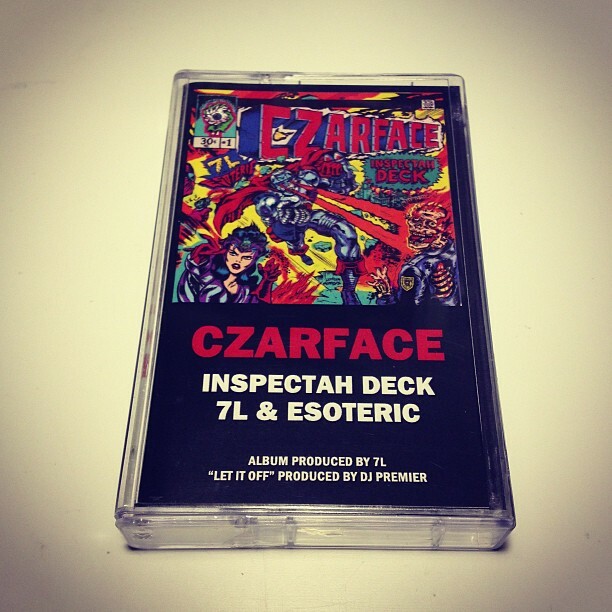 Speaking of Czarface, the album will be available on cassette through Get On Down with all the proceeds going to Crypt (from Outerspace) and his family. 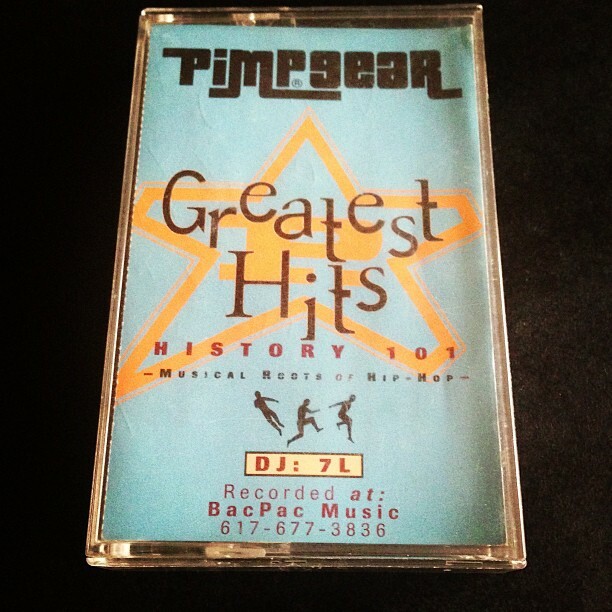 (SC) Do you remember the first cassette that you bought? Any memorable moments come from that tape? I know the first cassette I bought with my own money was this K Tel Breakdance one, I wanna say this was around '84. It had Flash's "Adventures on the Wheels of Steel" also artists like D Train & some more electro type songs it. I did have tapes before that, my brother Elias is 3 years older than me so basically as a kid I was getting a lot of dubbed tapes from him and his friends. Albums like Run DMC, Fat Boys and Whodini. But with that K Tel in particular I do remember that "Adventures.." and it really struck a chord with me because it had a lot of music pieces that were recognizable all mixed together. The Blondie, “Good Times” - it all made sense to me in a way that I knew what was going on. Even though at the time I didn't know "Apache" as the iconic break it was (I was 8! ), I could differentiate all the elements that made up that song, and it really interested me. Cold Cut years later with the "Paid in Full" Remix did an amazing job with that style. I still think that is one of the best records ever made. I had DJ equipment by then, and loved Paid in Full, so what they were able to do with the Remix, The Ofra Haza mixed with it all, it's really very perfect. Actually “Say Kids, What time is it” and all their early 12”s are all favorites of mine, as well as the Lessons by Double Dee & Steinski. (SC) Let's go back to 1994. 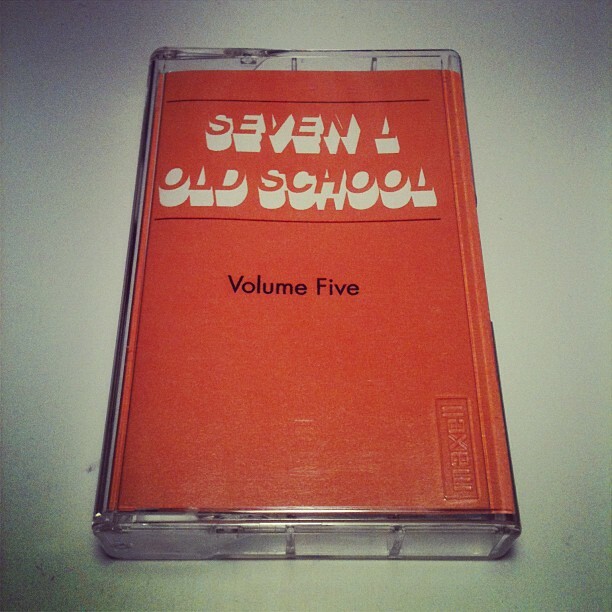 What 5 cassette tapes were in your walkman? I have to say that year was the height of my mixtape consumption so I know I was listening to a lot of DJ S&S, Juice, Doo Wop....just anything on a mixtape. As far as albums, obviously Illmatic…Organized was one of my favorite albums from that year...Biggie, Jeru...Gang Starr...that's five I think. Actually Biggie and that whole early Bad Boy era... Those Bad Boy mix tapes that came out a year later were some of my favorites. But overall I'd say it was mix of older and newer albums I would listen to. I was listening to tapes around the clock, I drove a lot, so all I did was listen to tapes. I had this little tape case always full and would rotate from week to week. I would listen to a lot of older stuff at night, Marley's In Control...or Brand Nubians..just studying production in a way. I did these tapes called Dope on Plastic first, I forget the exact year, '96 maybe. They were based on remixes and B Sides that were hard to find and on vinyl. Songs like "Gotta Get Over" (Extra P Remix), Diamonds "Don't Front"...Nice & Smooth "Down the Line." It was really just songs I liked and decided to make a mix. These kind of mixes became very common over time. But at that point there weren’t many. I would mail them out to stores out of state that I'd read about in Bomb, or Straight From the Lip. Locally, Biscuit Head Records in Boston had them and a few of the Skate Shops on Newbury St. 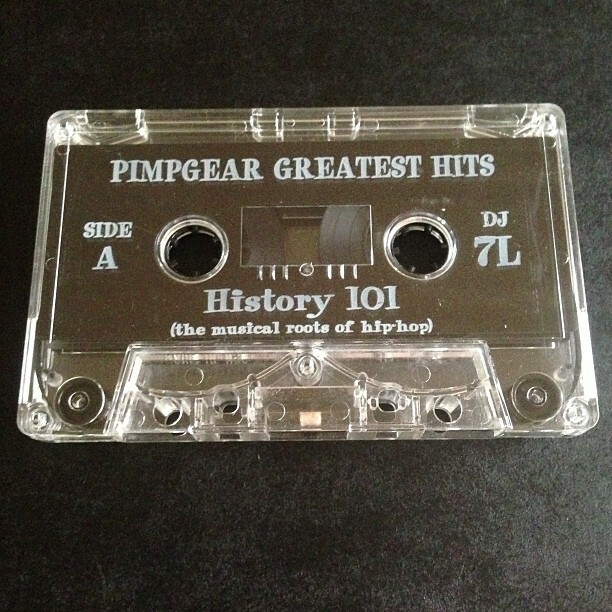 I think around the same time I did these Pimp Gear mixes, that my friend Rocky (who owned the company) used to give out at Magic in Vegas. 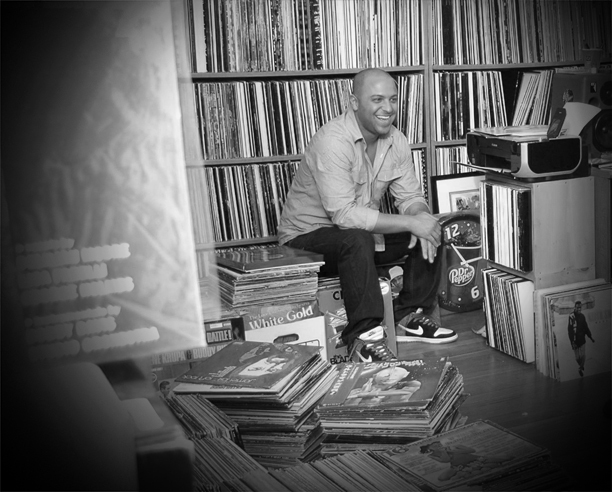 One was a Hip Hop mix I split with Fakts One, the other was called History 101 that was an all original samples mix. Those I know he did a thousand of each and that got me more out on the west coast, being that he was at a trade show and people from all over were there, I was getting stores from LA, or Seattle inquiring about carrying my mixes. The Old School mixes, (that I just call the Green and Orange Covers) were again in that time frame as well, maybe a year earlier. I think I did the Orange one in '95, that has all the Mantronix and Fantasy Three era old school songs(85 or earlier.) For me these tapes were just for the fun of it. What I hated was as time went on people began taking the random rap era so seriously, and putting claims on who could do what kind of mixes, as far as who was first. (SC) You and Esoteric have been dropping classics for years. Do you still have any of your early releases? Is there any "basement" tapes that may surface? Any 7L beat tapes/4 tracks lying around? I think there may actually be a “basement tapes” of sorts in the works, not sure exactly when however, but Karma who was the 3rd member in our first group God Complex (did all the graphics for all our albums) has something planned with a lot of those demos. Not sure if a lot of our fans even know that material, it was from 93-95, recorded mainly with Madsol Desar. Madsol I have to credit as the person who was vital in linking us with not only people in the Boston Hip Hop scene, but also taking us to New York to shop our demo's. He was very connected, and was a good talker, he could talk his way with the receptionist at Elecktra to get us a meeting with Dante Ross and things like that on the fly. He also taught me a lot about DJing and with Production. It was a exciting time. As far as any of my unreleased beats, I still have hundreds of MPC and SP Disks but I'd probably never do anything with them, they wouldn't be that interesting for people to listen to I don't think. (SC) Tell us about your involvement with the one of the most innovative companies in the game right now: Get On Down. How did that come about? Well to be honest I came on at Get on Down right as a lot of these current releases were already scheduled to come out. I have known all the people involved for years so I think at the initial launch they were looking for someone who got what they were doing and that understood the brand, so it's a great fit. Karma (mentioned earlier with the God Complex stuff) was also a designer on these releases. Actually he worked on all our (7L&Esoteric) art, as well as Brick Records and countless other releases, from 50 Cent Guess Who’s Back to you name it. Anyways, so I'd stop by the office to say “what up” and catch up and was starting to see all these prototypes as they were being hashed out and thought it was all so cool. Things like the ODB Wallet and the GZA Chess Set and this is going back a bit. So about a year ago right before the site actually launched, my buddy Matt (one of the owners of Get on Down) had asked if I wanted to help out. Maybe come in one or two days, talk about ideas and work with Rob on the website. Shouts to my man Sleezy Tree’s!!! haha. So that one or two days eventually turned into 5, and everything just took off in a great way. It's good for me cause I have slowed my DJing down quite a bit (especially in Boston) so this is a perfect outlet for me to be creative and still be involved with music I love. (SC) How did the Purple Tape Boxset come about? 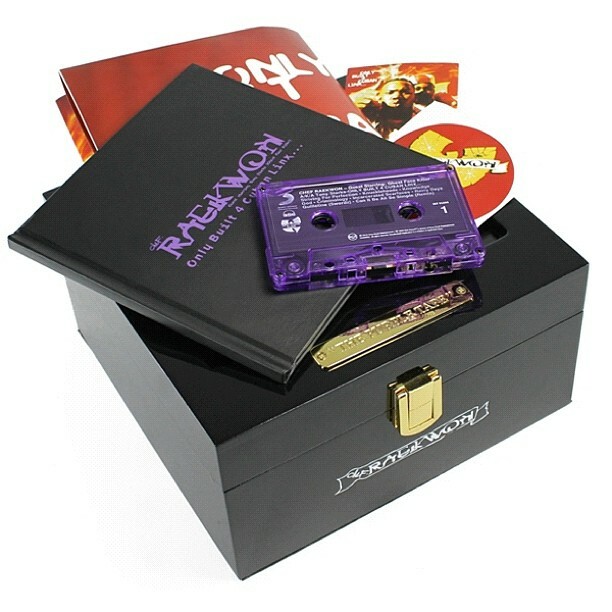 The Raekwon tape I knew would be a hit, right from when I first saw it. I mean as we know, Only Built for...just became known as "The Purple Tape" back in the day, so just having it in the box with the glass and the presentation, I mean.. Who wouldn't want that? (SC) Lets talk about Czarface. How was it working with Inspectah Deck? How did this whole album concept come together. 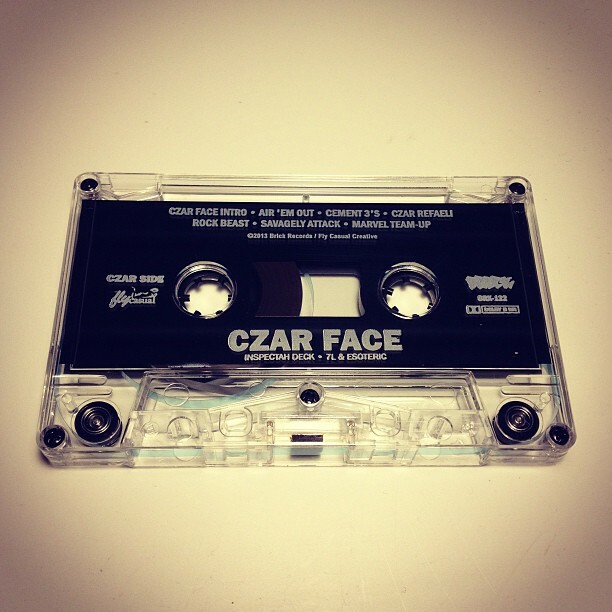 Last but not least, tell us about those Czarface tapes! It was a lot of fun. For me it really got me back into the beat game again. I think after A New Dope and the Main Flow album (2006) I was just very burnt out on it all. I was DJing clubs a lot more, and by that point shifted my focus on making edits (Bladerunners) and DJ tools. I did still make beats, I just think my body of work in that area slowed down a lot. So when this record started, which actually wasn't called anything when we all were first recording, I felt much more inspired and eager to stay in the studio all the time and make beats. I had been working a lot with my man Todd (Spadafore) at his studio on some other projects we had. 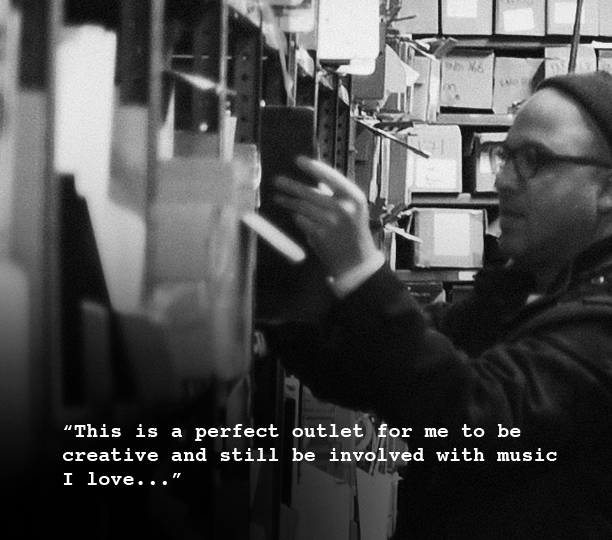 He had played bass and keys on DC2 and other of our records from back then. He ended up moving to Miami for a bit, did some work with Dipset & Juelz ("Clockwork") and Khaled, as well as some other artists while he was down there. Fast forward to last year, he was back up here for a stretch and we just started making beats together, "Air'em Out" and others came out of those sessions. 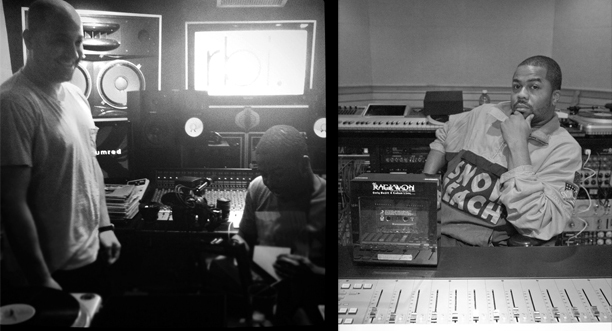 I was basically doing a bunch of beats here (at my studio) and taking them to his place to finish. That is what I think gives the album a good balance. I was using the SP for some drum loops, make them bang a bit more then re sample them into ACID or Maschine. I was just making beats that sounded good to me, paid less attention to how rare a record was, or how common the break was. I took more of the listeners standpoint than what another producer would think. So by doing that, the beats came quick. Some would be done in 10 minutes and maybe would need that live instrument feel, some just sounded done as is, 2 track bounce and just use that. I think those kinda changes in my pattern def helped give the album a good flow. It was nice because I felt in a whole new refreshing zone that I don't think I had ever been in before. My initial thought was we'd do a 6 track white label type thing press it on vinyl and call it a day (90's Mentality.) But as we started recording we just did more and more songs, Deck and Eso were working close together on songs and raps etc...so it naturally grew into the record that it came to be. The concept as far as the character and the direction of how we should do the cover was all Esoteric. I mean he came up with the idea of "let's have this character represent us as a group" and honestly it gave the album so much more personality. He linked up with Lamour (Supreme) who we were both fans of, and we knew would be perfect to draw the character to life. They also both bounced ideas of how the Czarface character should look, and detail about his powers and armor and everything. Lamour was great at just picking up what Eso wanted and obviously took that and then added his own unique style to it. I honestly just made the music. Haha. The cassette version came about through talking to you guys actually, haha. But initially we had the artwork and the Sucklord action figure in play, and then merch like shirts etc etc. And I just thought some cassettes would be really cool to do. If anything we could just have them. I remember even back when we did Soul Purpose that we wanted to have it on tape just cause we grew up listening to all our favorite albums that way. It was just the way (if you will) that we heard albums. As did a lot of people. 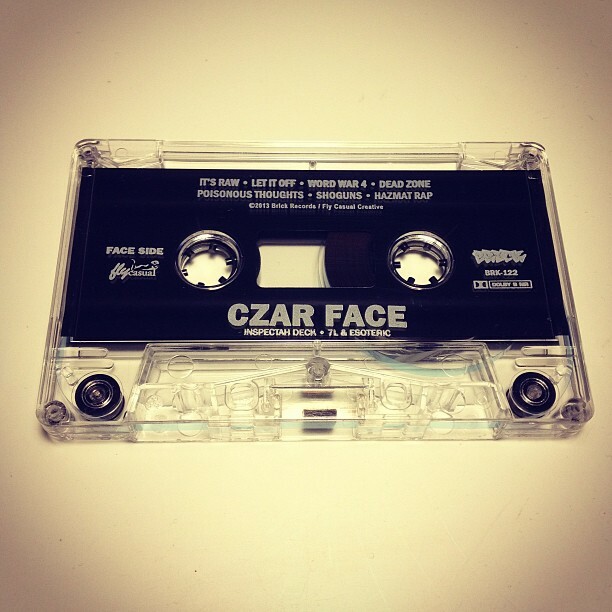 The Czarface tape is now available at Get On Down with all the proceeds going to Crypt (Outerspace) & his family. dope interview! Czarface is the album of the year! 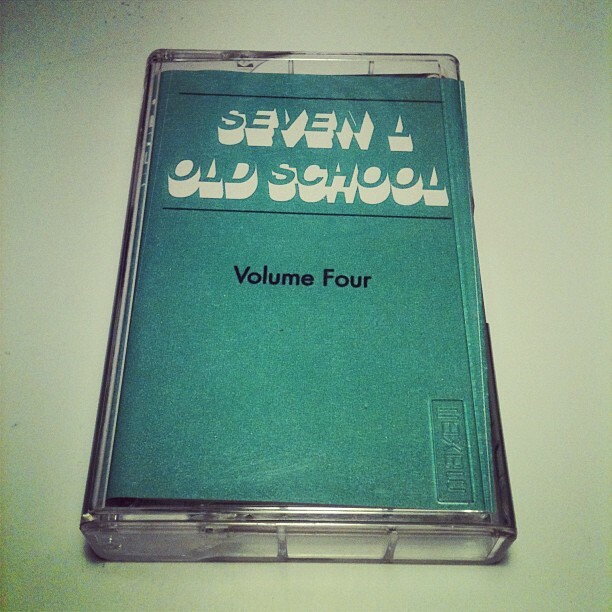 It is a pleasure to know that the first cassette tape I ever bought is the same as 7L (that K-Tel compilation). Great interview!